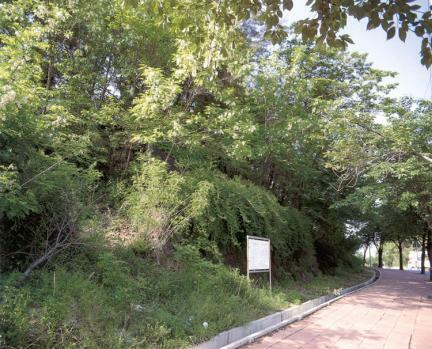 충남 부여군 쌍북리에 있는 백제의 토기 및 기와를 굽던 가마터로, 1941년 5월에 부여 시가지 계획도로 공사 중에 발견되었다. 발견 당시 가마는 땅에 묻힌 상태여서 분명하진 않지만, 길이 약 4m, 폭 135㎝, 높이 90㎝ 정도의 크기였다. 굴뚝 부분에서 아래로 3㎝ 정도가 남아 있고 아궁이 부분은 밝혀지지 않았다고 한다. 현재 가마터 앞쪽으로 도로가 완성되면서 가마의 앞부분이 잘리게 되었으며, 현재 가마터는 시멘트로 석실을 만들어 보호하고 있다. 소나무숲에 둘러싸인 이 가마터 부근이나 산등성이 너머의 경작지에서는 많은 수의 토기조각과 기와조각이 발견되고 있어서 그 전체 영역이 현재 파악된 지역보다 더 컸을 것으로 추정된다. 지금은 가마의 일부만 남아있지만 부여읍 안에 남아있는 유일한 토기 및 기와 가마터로서 그 의의가 크다. Yoji is a kiln site for baking pottery, tiles, and earthen vessels. As the kiln baked the earthen vessels and tiles of the Baekje Era, it was found during the road construction of the Buyeo City in May of 1941. The kiln was found in a buried condition; thus, although it isn't clear, its size is assumed to be 1.3m wide and 90cm long. Only 3cm in the lower part of the chimney remains, but the fuel hole cannot be found. After the pavement was completed, the front part of the kiln was cut off, facing a cliff, so it was protected with concrete chamber. Pieces of pottery or items thrown from the kiln are not found around this area, which is surrounded with pine forest, but many pieces of pottery and tiles were scattered in an arable land over the ridge. 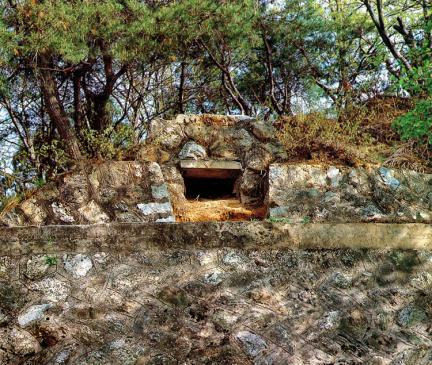 Although only a part of the kiln remains at present, it has high value being the only remaining kiln site of pottery and tiles remaining in Buyeo-eup.